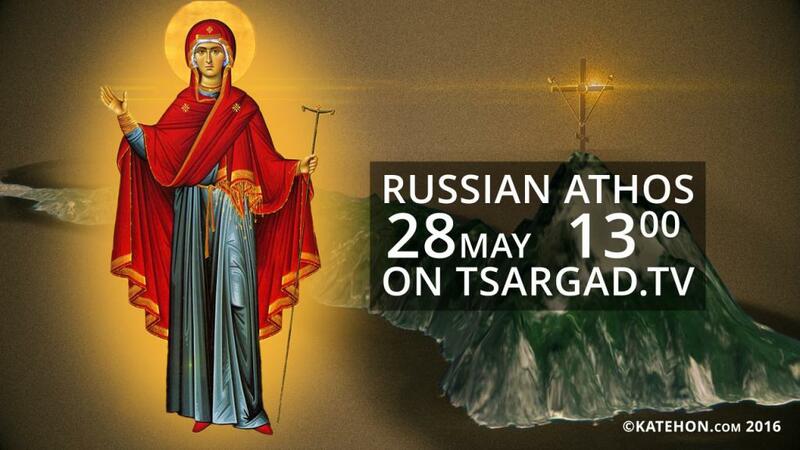 On May 28th at 13:00 on Tsargrad channel, the “Russian Athos” telethon begins. Tsargrad reporters, together with first-rate state and Church figures, will take part in celebrations on the Holy Mountain dedicated to the millennium anniversary of Russian monastic presence on Mount Athos. The channels’ viewers will be able to watch the entire event live on air. “The uniqueness of our telethon is not even that we are dedicating a few hours of live broadcasting to the celebrations and following the footsteps of the Patriarch on his visit to the Holy Mountain, but the important, parallel work that our crew will be doing in broadcasting from the most important monasteries on Mount Athos. We will hold interviews with Russian, Greek, Serbian, and other elders and monks. We will show that Russians not only assert their own presence on the Holy Mountain, but that they also demonstrate the place of the Russian spirit, Russian logos, and Russian monasticism in the universal symphony of peoples, nations, cultures, and churches within a unified Universal Orthodoxy.